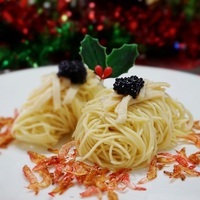 Foodies, here’s another Christmas recipe to serve up a gastronomic meal. Combining all the extravagant ingredients, the chilled pasta is drenched in a fragrant Truffle Oil, teasing the palates of your guests even before they arrive on the table. Remove abalone from can and shred. Heat oil and fry Sakura Ebi till crispy. You can fry more and keep them in an airtight container for other use. Set aside oil for mixing pasta later. Cook pasta according to instructions on package. Drain and pour in abalone broth. Add shrimp oil and salt. Mix well. Prepare ahead by dividing the pasta into equal parts. Put them in airtight container and refrigerate. Remove chilled pasta just before serving and add truffle oil. 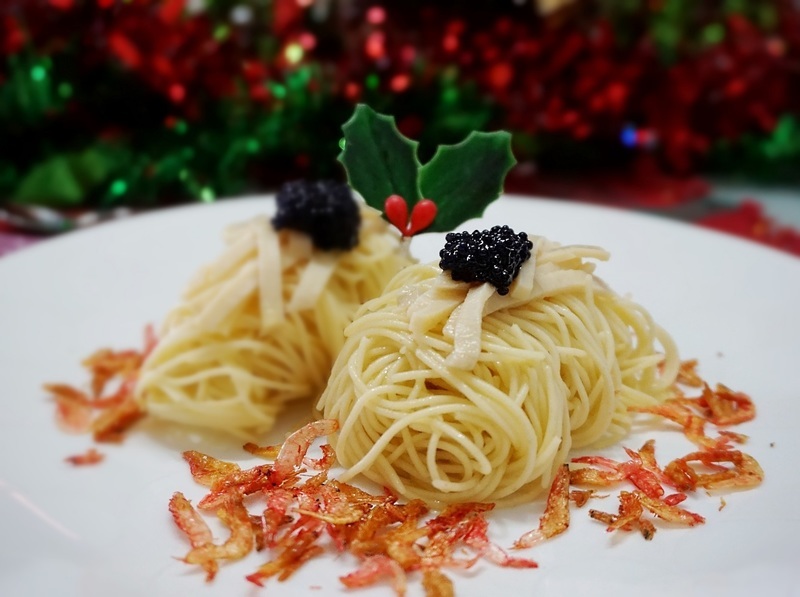 Top with the rest of the ingredients, and be ready to impress your guests with this restaurant-style Cold Angel Hair Pasta in Truffle Oil with Abalone and Caviar. Have A Glass Of “Unbeetable” Juice!